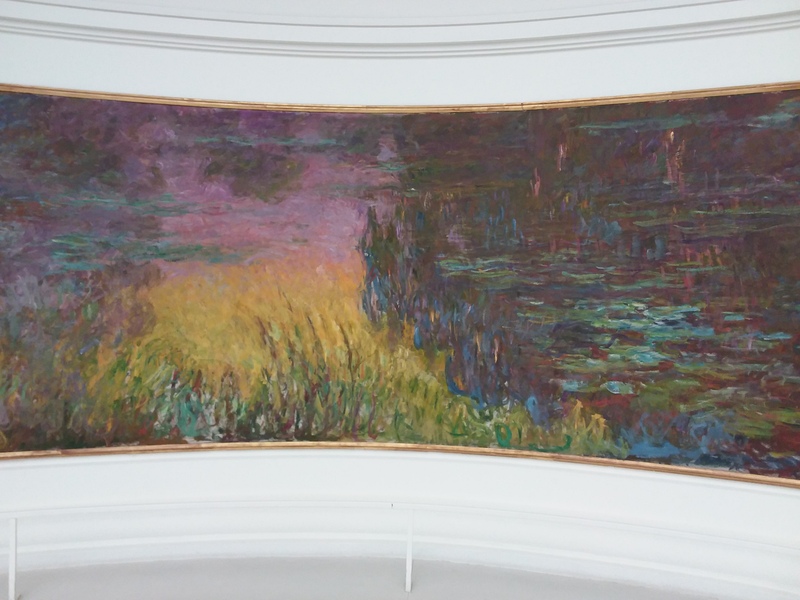 On a recent visit to L’Orangerie, the building set in the Jardin des Tuilleries which houses Monet’s waterlilies in an oval display, I pondered this question. 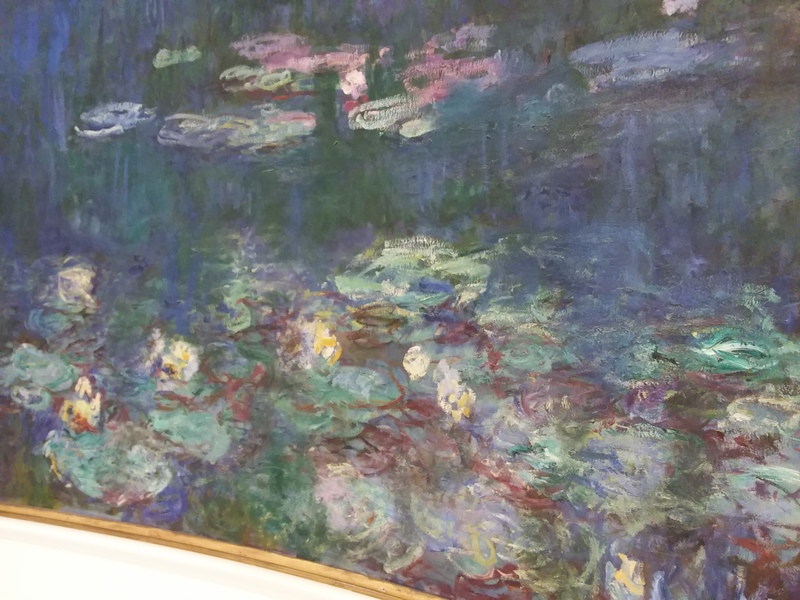 Art critics and ordinary people who love or loathe art all seem to if not fall in love, then certainly feel benign towards the artist’s obsession with these liquid flowers. 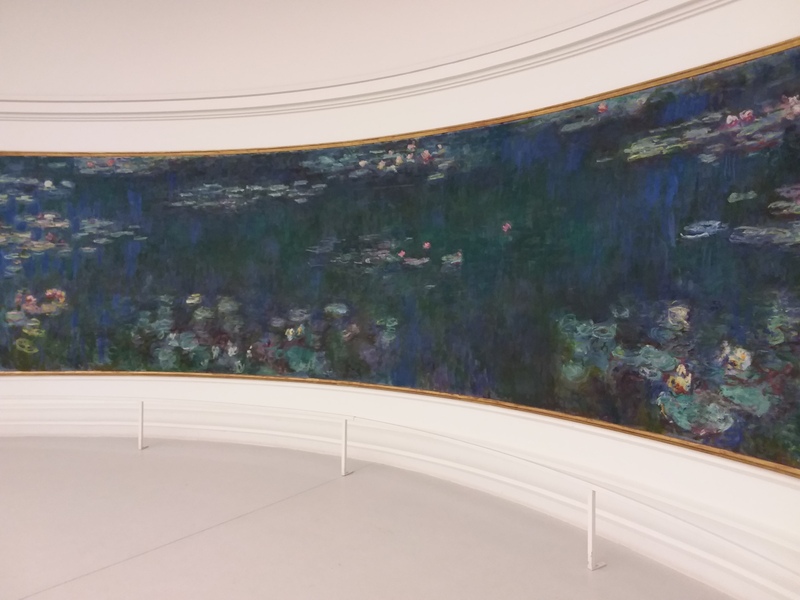 The eight murals donated to the city by the artist as a a gift of peace after the great war, seem to wrap around you and draw you into their watery shallows. Their luminesence emanates a feeling of peace and perhaps that’s why so many people find themselves swimming into the tranquil waters. Peace is such a rare commodity in todays mad world and any opportunity to sit, reflect and allow beauty to infuse you is a rare thing indeed. The inspired words by the artist shows that he was a cosmosologist as well, understanding the unity in all things. Its something we can all sense when looking at the murals.As he continued to paint his favourite subjects later in life, cataracts developed yet they did not hamper him from capturing the inner light of the landscapes which he expresses so exquisitely and to which our own inner lights respond. 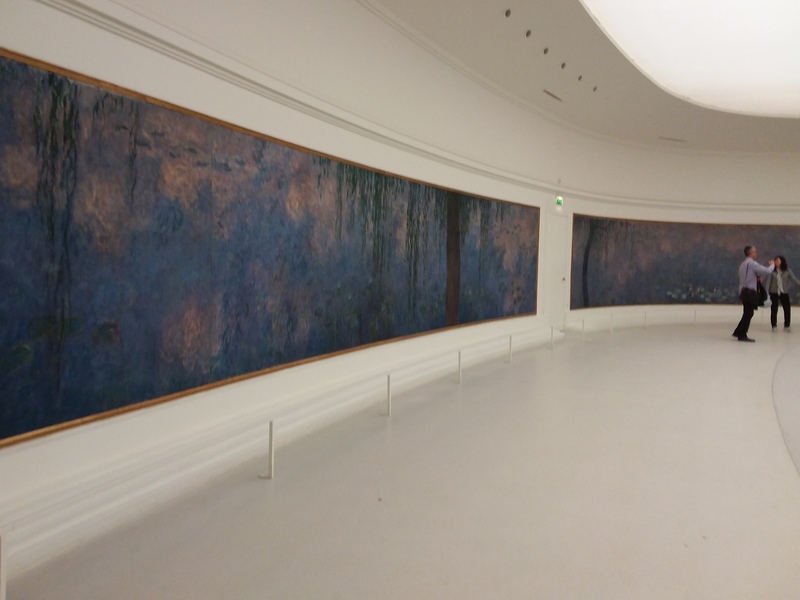 I was in l’Orangerie last year. 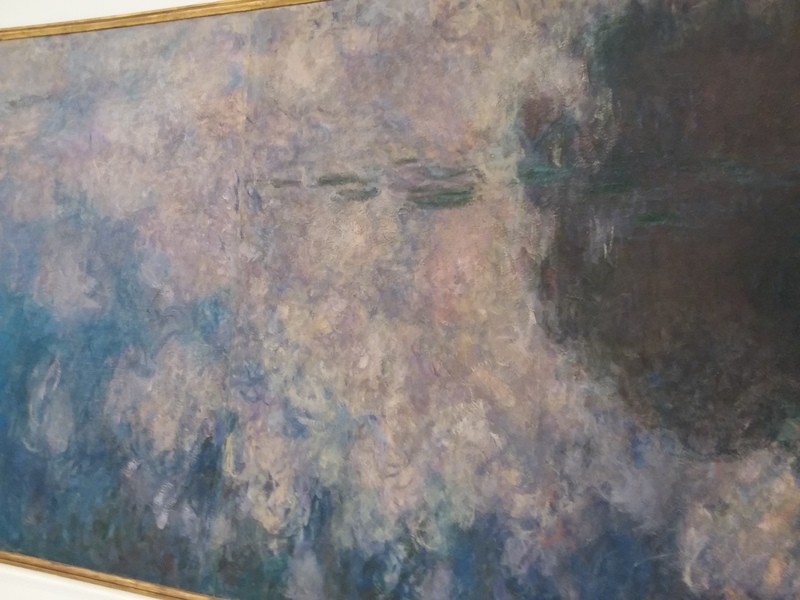 Monet’s paintings there totally blew me away. I enjoyed reading your story a lot. I love art. It’s safe. 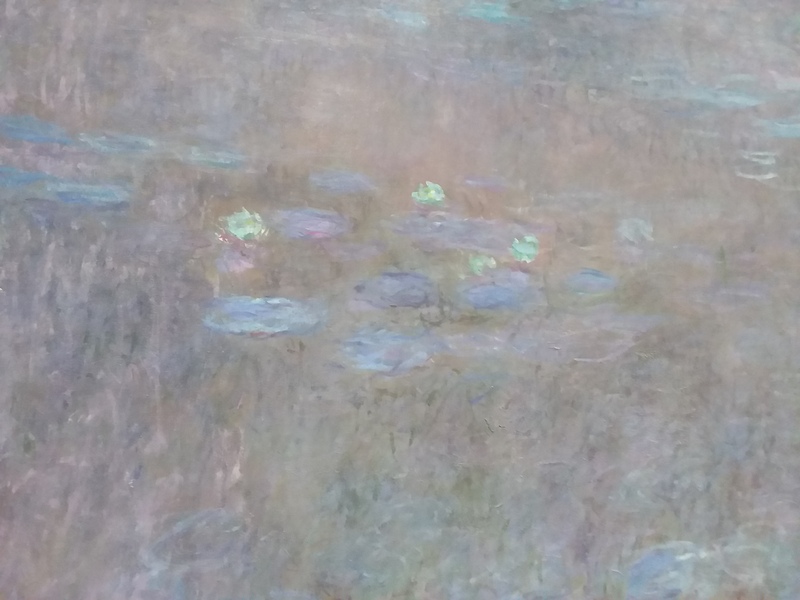 A person can look at something like these Monets and think about what it means to them; speak about a perception that is just as real as the painting itself and feel secure that the perception is just fine…and just as creative as the art that’s in observation. It is not so often the case when sharing things about anything else in our observations; beliefs, principles and experience. Ironically, art represents these, and thankfully IS a safe zone to let our truth sore. Thanks for sharing this. My day now begins in exalted inspiration.